For those who follow YouTube on a regular basis, there are plenty of exclusive videos of artists who are waiting in the wings to be discovered. 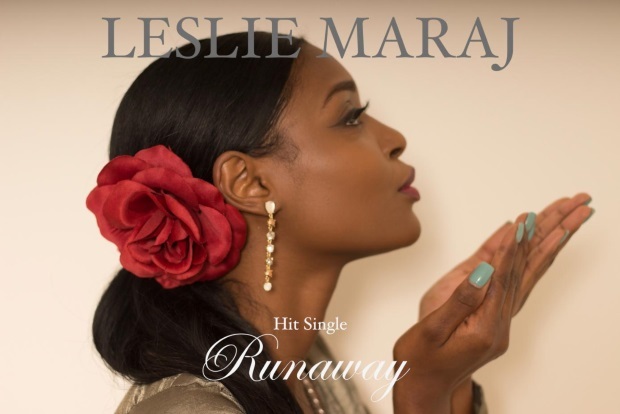 Once such talent is Leslie Maraj, whose a cappella, on the spot interpretations of Billboard Top 25 hits by Ariana Grande and Kandi Burruss are just a taste of this vocalist’s mix of smooth and sass. Though she is a recent entry to the national spotlight, Maraj was a veteran of talent shows throughout her childhood. SoulTracks is now proud to present her debut single, “Runaway” (Slamm Music), which explores the insecurities persons that experience in relationships. In her first original music video for YouTube, Maraj ponders the good times but ends up writing a note to her ex-lover about her decision to move on. Maraj’s urgent vocals mesh perfectly with the pounding rhythm track draped with piano and synthesizers - further enhancing the already tense storyline of romance that was never meant to last. Check it out below.